Steve is a founder member of the international touring group Salsa Celtica. 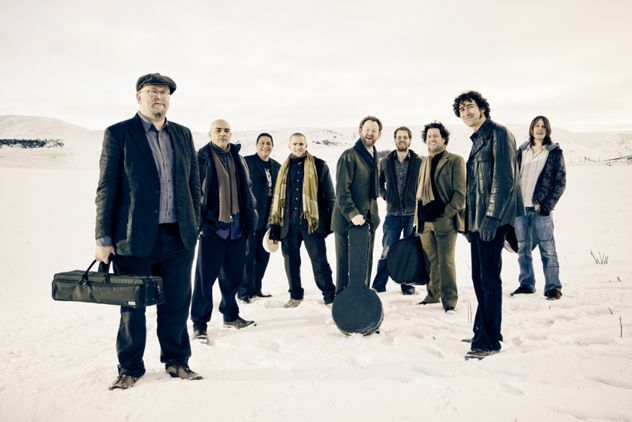 Formed in 1995, Salsa Celtica has played all over the world, including the USA, Canada, Malaysia, Singapore, Algeria and most of Europe and Scandinavia. Their mix of salsa with Scottish and Irish folk music has knocked out folk, Latin, jazz and world music festival audiences everywhere, such as WOMAD, Cambridge Folk Festival, Milwaukee Irish Festival, Ottawa Jazz Festival, Chicago Celtic Festival, Georgian International Festival in Tbilisi, and Glastonbury. He stopped performing with them in 2013. CDs: Monstruos y Demonios, Angels and Lovers (Eclectic); The Great Scottish Latin Adventure (Greentrax); El Agua de la Vida (Greentrax); El Camino (Discos Leon); En Vivo en el Norte (Discos Leon).